We’re glad we could help with your closing. Contact us anytime after closing with your questions. Closing is over, you have purchased your dream house (or perhaps refinanced your dream house) and now you are done working with the title company. However, the title company is not done working for you. As much work goes into post-closing as pre-closing. When the closing is completed, the file goes to the post-closing department. The first step is to prepare the recording package and send it to the Land Records Office for recording. Most files are recorded without trouble, but occasionally recordings are rejected and need to be corrected and resubmitted. Eventually, after the recording process is complete, the original Deed and Deed of Trust are returned to post-closing, which in turn forwards the original Deed to the new homeowner and the original Deed of Trust to the lending bank. Depending on the jurisdiction, this could take up to six months. Post-closing is also responsible for paying off the existing mortgages and/or judgments on the property, obtaining releases for the liens associated with those mortgages and/or judgments and recording said releases in the Land Records Office. Since the purchaser has obtained a title insurance policy, the purchase is protected whether or not those liens are properly released, but since the title company has issued the insurance and provided a commitment to the bank that those liens will be released, the title company is responsible for making sure that they are in fact released. The post-closing team also handles obtaining and paying the final water bill. This is the title company’s responsibility since an unpaid water bill creates a lien on the property. Also, any home owner’s association or condominium dues collected at settlement are submitted to the home owner’s association or condominium association along with a copy of the final Settlement Statement. Some other duties of post-closing include: maintaining and disbursing repair escrows, maintaining and disbursing post settlement occupancy security deposits, returning signed original documents to the lender and answering and resolving all potential post-closing issues or questions. So, as you can see, post-closing is still working for you long after you are moved in and enjoying your new property. Our post-closing manager is Dedra Roberts, and she will be happy to assist you with any post-closing questions or issues. As a home buyer, almost all interaction with the title company is prior to closing. But what about after the closing? Here are some tips on what you as a home buyer should look out for and do post settlement. If you prefer not to have to find room for another stack of documents, or if you really are concerned about doing something good for the environment, at Federal Title we can scan your closing package and email it to you. By saving your closing documents on your computer, you won’t have to worry about the wasted paper, finding a place to keep the stack of pages or losing confidential documents. We will always maintain an electronic copy of the file here at our offices as well. At Federal Title, we provide you with your owner’s title insurance policy at the closing. So it is part of your closing packet and can be saved along with the final Settlement Statement and other closing documents. Unfortunately, this is not the standard practice. Most title companies mail you the Owner’s Title Insurance Policy months (sometimes even years!) after closing. Consequently, it is not part of the closing packet and it often gets misplaced. Remember that the Owner’s Policy is your protection and might prove fundamental when trying to sell or refinance your property. Make sure that any discounts (Homestead, Senior Citizen, etc.) are reflected on the bill. Even if a Homestead is filed with the deed, the tax office may incorrectly fail to apply the proper credits or discounts. If you have waived the escrow account and are responsible for paying your property taxes directly, make sure you know when the property tax bills are due. Just because you did not receive a bill does not excuse you from paying the taxes. Almost all jurisdictions allow you to view and pay the bill online. This is especially important to check for the first tax bill after your purchase. Typically, you can view escrow payments on the mortgage lender’s website or you can call the mortgage lender’s automated number. This typically applies to a condominium with a separately taxed parking space. Sometimes the lender will pay the property tax bill for the unit, but will neglect the smaller parking space bill. Over the years this issue has come up many times. Remember when all everybody talked about was reducing paper and going green? Well, the mortgage and real estate industries never received that memo. At closing, you will be provided with a set of copies of everything that you just signed, and that package could number up to 100 sheets of paper. Hold on to them; you might need a copy of your final Settlement Statement for tax purposes, and you never know when you might want to review the Note and loan terms. 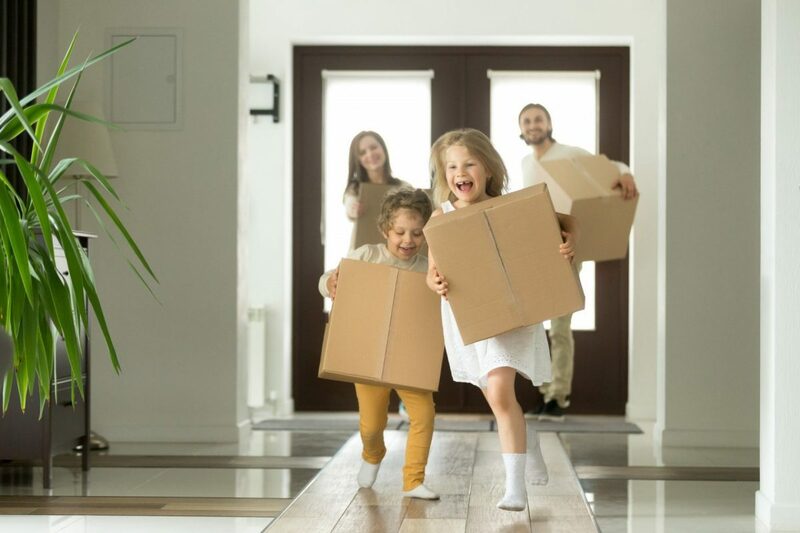 This may sound disappointing, since most clients would likely enjoy burning their prior closing package, but even though the prior loan is being replaced by the new loan, you should hold on to the prior papers as well. One day, you, your estate or your heirs will end up selling that house. You might have to prove that a prior loan was paid off, or that you have a title insurance policy, or you might need to confirm the prior sales price, etc. Having your prior loan documents could save you a lot of time and some future headaches. Even if your next auto payment is scheduled for April 1 and your closing is March 10, and your current mortgage will be paid off well before the next payment due date, it is a good idea to make sure that any automatic payments are cancelled. Of course the prior lender would owe the money back if they took another payment, but nobody wants to have to chase money from a bank. Double check to make sure that the new loan payment has been properly processed. It is especially important to check the first tax bill after your refinance. Typically, you can view escrow payments on the mortgage lender’s website or you can call the mortgage lender’s automated number. Review our list of the most commonly asked questions our post-closing department receives, and feel free to contact usshould you need assistance post-closing. I received a water bill after closing that lists the previous owner. What should I do? Should you receive a water bill that you believe is not your responsibility, please contact our post-closing department and if possible scan and forward a copy of the bill to our post-closing manager, Dedra Roberts. Your title company, such as Federal Title, is responsible for coordinating with the local water utility to transfer the water account into the names of the new homeowner(s). This is the only utility account for which your title company will coordinate transfer of accounts, and it helps to ensure that water usage through the date of settlement and/or through the date ending the post occupancy period is assessed to the seller and not the new owner. A copy of your final Settlement Statement was provided to your local water utility requesting that they tally the final bill for the water account(s) associated with your property and that they set up a new account for you, the new homeowner. It can take the local water utility up to 14 days to process emails and faxes relative to the final billing request. It can take up to six weeks to produce a final water bill and/or create the new account. As your title company, we will make every effort to coordinate with your seller and the local water utility to ensure account balances accrued prior to the date of settlement and/or through the date ending a post occupancy agreement are paid in full. Am I responsible for paying my real estate tax bill? If you took out a home loan to finance your recent real estate purchase, or if you refinanced your home loan, chances are your mortgage lender is already collecting funds to pay your property tax bill on your behalf. In the event your current lender is bought out by another financial institution, the second financial institution will take on responsibility of collecting funds to pay your property tax bill. However, we encourage homeowners to review their property tax accounts online to ensure taxes are paid in a timely manner because the tax liability falls on the homeowner, not the financial institution. Tax collectors in DC, Maryland and Virginia do not accept “ignorance of tax liability” as an excuse for late or outstanding payments. You should confirm with your mortgage lender and/or your jurisdiction’s tax collecting agency that all real estate tax payments expected to be paid on your behalf were, in fact, paid on your behalf. How can I research my real estate tax bill? To research your real property tax information online, you will need your Lot and Square information, which can be found in the legal description of your electronically recorded Deed document. Visit the website of the tax collecting agency for your jurisdiction for more information about your real property tax payment status. We’ve included some of the most popular tax offices below, and a full list can be found in our Real Property Tax Assessment Guide. What happens if I overpaid my real estate tax bill? All overpayments made to your real property tax account are applied as a credit toward your next real estate tax bill unless a refund is requested. 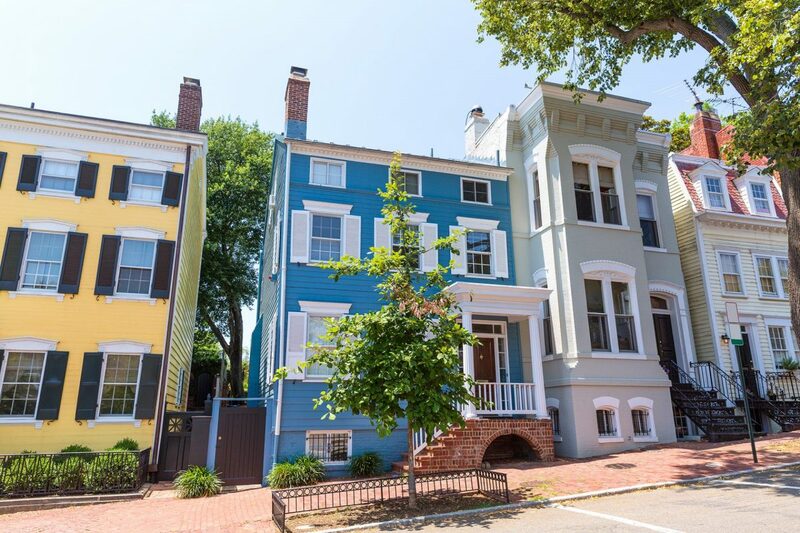 I am eligible for a tax benefit, i.e., Homestead Tax Deduction (DC), Homestead Tax Credit (MD), but I do not see it reflected in my real property tax bill. Your tax benefit should be reflected in your next tax bill. In the event you do not receive the benefit on your next tax bill, contact our offices and, as a courtesy, our post-closing manager will request that your tax collection agency apply the benefit to your real property tax bill. More often than not, these requests are fulfilled within seven days. How long will it take before my ownership is reflected in the local property tax database? The tax collection agency’s website for your jurisdiction should reflect your ownership within the next six months. If you do not see your ownership reflected within this time frame, we recommend that you make a request with your jurisdiction’s online tax payer service center. A full list of contacts can be found in our Real Property Tax Assessment Guide. Homebuyers and refinancing homeowners are often confused at closing about their mortgage lender escrow/reserve requirements. Typically if a homebuyer’s down payment amount is less than 20% or a refinancing homeowner’s equity is less than 20%, a lender will require the homebuyer to maintain a reserves account controlled by the lender for the purpose of paying homeowner’s insurance premiums and real estate taxes. The lender has good reason to make sure homeowner’s insurance premiums are paid in since the lender is also a named insured under the policy. 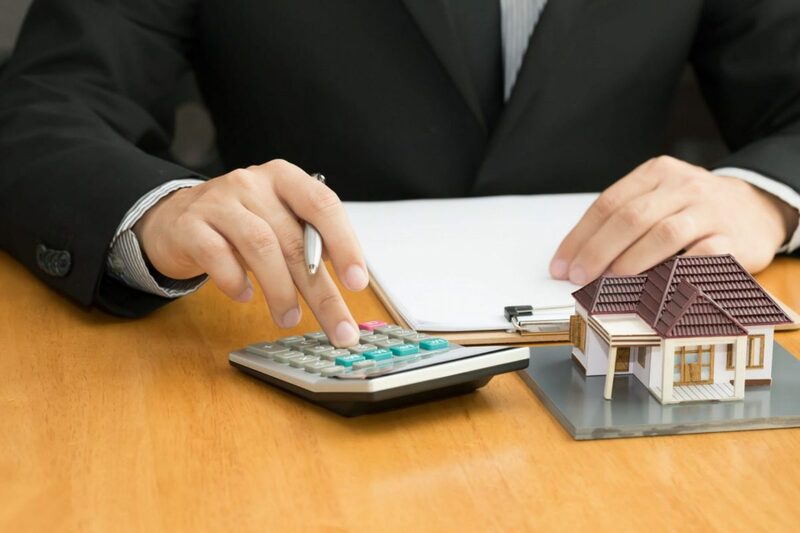 Equally important to the lender, real estate taxes must be paid in order to avoid a tax lien, which would become a priority lien over the lender’s mortgage lien. FOR THE PURPOSES OF THIS DISCUSSION, WE’LL FOCUS ON REAL ESTATE TAXES. A lender will require the homebuyer to put down a deposit at the time of closing to establish the escrow/reserves account such that the lender has enough money to pay the future real estate tax bills. Beginning with the homebuyer’s first monthly principal and interest mortgage payment, the lender will include 1/12th of the annual real estate taxes. The escrow/reserves deposit is calculated based on the number of months before the next tax bill is due against the number of months the lender will have collected through the mortgage payments from the date of closing. For example, if you are closing in January then your first mortgage payment will be due on March 1. Yes, that’s correct – March 1 – because the lender will collect prepaid interest from the date of closing through January 31. That makes your first payment due on March 1 because mortgage interest is paid in arrears. Your March 1 payment will cover the interest that will have accrued in the month of February. So if you close in the month of January and the next semi-annual (6 mos.) tax bill is due on July 15, the lender will require a real estate tax escrow/reserves deposit equal to 3 months worth of taxes. This is because from March 1 through July 1 you will have contributed 5 months worth of real estate taxes through your mortgage payments and with 3 months already deposited into the escrow/reserves account at the time of closing, the lender will have a total of 8 months worth of real estate taxes in order to pay the 6 month tax bill. But wait! Why does the lender have 8 months worth of taxes when they only need 6 months worth of taxes in order to pay the bill? Well, by law, the lender is allowed a 2 month cushion in order to help cover for any sudden real property tax re-assessments or other supplemental tax bills. In order to better assist homebuyers or refinancing homeowners in calculating how many months will be required by their lender as a deposit for real estate tax escrow/reserves, I have created the following charts below for properties in District of Columbia, Maryland, Virginia and Florida. Taxpayers who own their own home may deduct the interest paid toward their mortgage loan from their total income earned when it comes time to pay income taxes in April. The IRS says you can claim this deduction for a primary residence as well as a secondary residence such as a vacation home, provided you spend at least a few weeks out of the year at the secondary home. 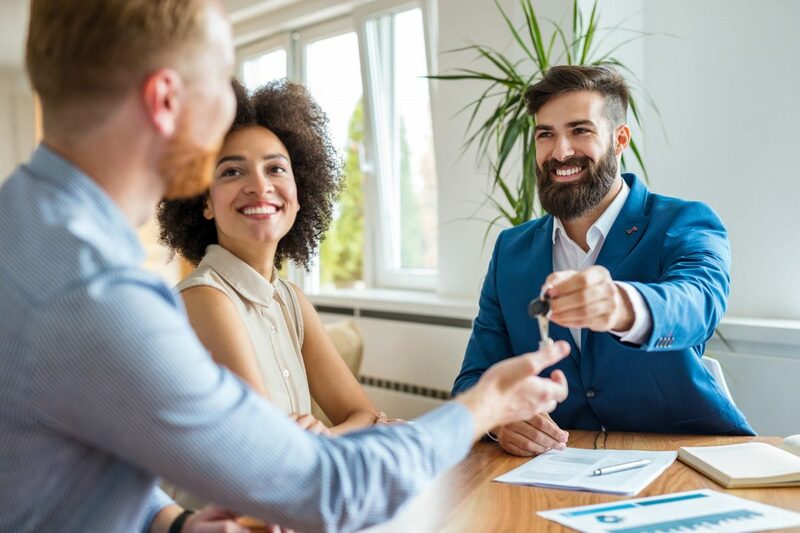 Some homebuyers and borrowers opt to pay “points” up front when obtaining a mortgage loan to lower the cost of their interest rate over the course of the loan. Each point is typically equal to 1% of the principal loan amount. The IRS says home mortgage points as prepaid interest, and therefore in most cases considers them tax deductible. Points paid on a home improvement loan, such as a home equity line of credit (HELOC) are also potentially tax deductible. If you took out a home improvement loan to build or make improvements to your home, the interest may be tax deductible the IRS says, under the same guidelines as the mortgage interest deduction. It’s worth noting that to qualify for the full deduction the home interest benefit offers, the total amount of debt on all outstanding loans must be $1 million or less. It’s common for homebuyers who put down less than 20% as a down payment to have to pay some kind of insurance policy on their mortgage loan. Amounts paid as mortgage insurance may be counted as home mortgage interest, the IRS says, which means private mortgage insurance (PMI) – also known as a “funding fee” for Veterans Affairs loans and “mortgage insurance premium” for FHA loans – may be tax deductible each year. A reverse mortgage is a loan product available for homeowners who are 62 years of age or older that allows them to convert the equity in their homes into cash. It’s called a reverse mortgage because the lender pays out the homeowner’s accrued equity each month rather than the homeowner paying a mortgage payment. The homeowners get to keep the title to their home and are not required to pay back the loan until they move, sell, reach the end of a pre-determined loan-period or die. At that time, the reverse mortgage would be due with interest. Because reverse mortgages are considered loan advances and not income, proceeds received from a reverse mortgage are not taxable, the IRS. Any interest accrued on the reverse mortgage is not tax deductible until it is paid. Make the move into your new home a little easier with this list of local utility and service providers. Please contact service providers directly to learn more. A little over a decade ago the District of Columbia deregulated electric utilities, allowing homeowners to make their own choice when it comes to choosing their electricity supplier. Electricity suppliers purchase the energy from electricity distributors. PEPCO is the only distributor of electricity in the District of Columbia. They are also the largest retail supplier. Browse the District of Columbia’s list of consumer contacts for approved electricity suppliers, which includes PEPCO. Around the same time DC deregulated the electric utility, the gas utility was also deregulated. Homeowners may choose to purchase gas through Washington Gas (formerly Washington Gas Light Co.), the local utility distributor, or choose to their own natural gas supplier. The District’s Public Service Commission maintains a list of approved natural gas suppliers. 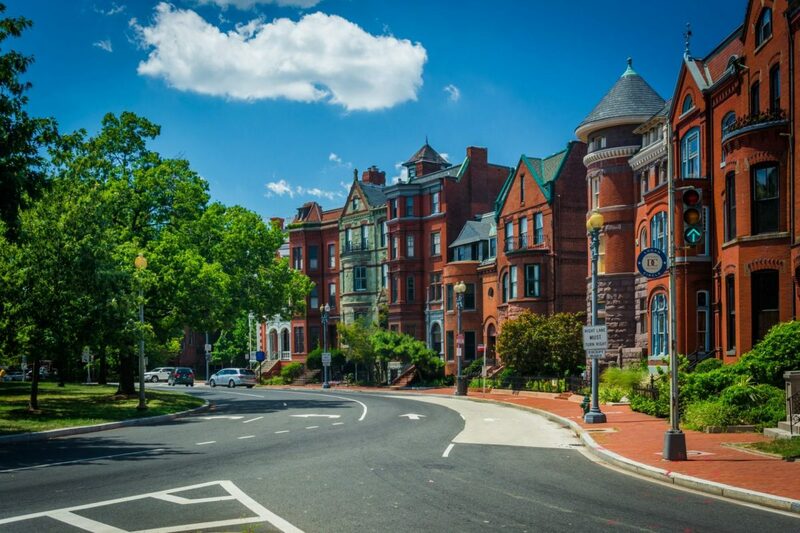 DC Water (formerly the DC Water & Sewer Authority) services an area of roughly 725 square miles, providing water & sewer services to more than 600,000 residents. Water comes from Great Falls on the Potomac River and is treated at the U.S. Army Corps of Engineers Washington Aqueduct. It is then sold to DC Water for distribution. Please note, links and phone numbers are provided for reference purposes only and may stop working without notice. Contact our webmaster to report outdated information or to suggest additions to this page. A little over a decade ago Maryland deregulated electric utilities, allowing homeowners to make their own choice when it comes to choosing their electricity supplier. Electricity suppliers purchase the energy from electricity distributors. The primary suppliers of electricity in Maryland are PEPCO, Baltimore Gas and Electric and FirstEnergy (formerly Alleghany Power). Find other suppliers of electricity by using Maryland’s energy supplier search. Around the same time Maryland deregulated the electric utility, the gas utility was also deregulated. Homeowners may choose to purchase gas through Washington Gas (formerly Washington Gas Light Co.), the local utility distributor, or choose to their own natural gas supplier. Find other suppliers of natural gas by using Maryland’s energy supplier search. WSSC (Washington Sewer and Sanitation Commission) services an area of roughly 1,000 square miles, providing water & sewer services to more than 1.8 million residents. A little over a decade ago Virginia re-regulated its electric utilities, and the State Corporation Commission became the regulating authority. For Virginia homeowners in the DC Metro area, Dominion Power is the primary supplier of electricity. The Northern Virginia Electric Cooperative also provides electricity to some residents in areas like Centreville and Clifton. Most Virginia residents are serviced by Washington Gas (formerly Washington Gas Light Co.). Columbia Gas of Virginia also provides service to some pockets in the DC metro area such as Chantilly and Herndon. Residents of Virginia are serviced by a number of local water authorities. 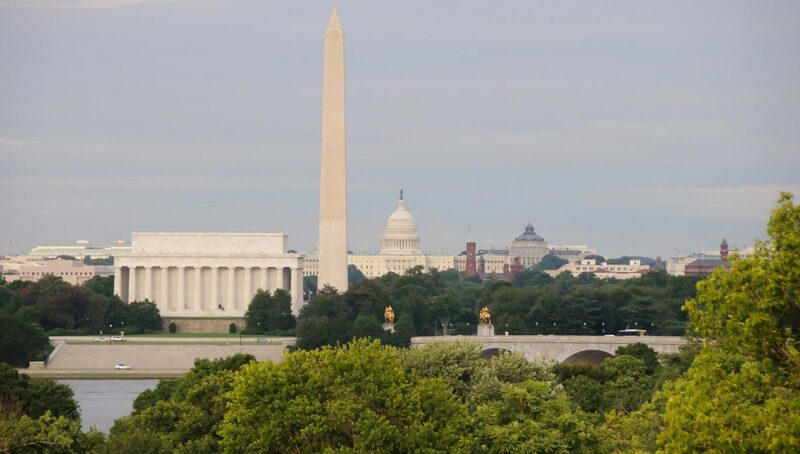 Here’s a list of water authorities serving residents in the DC metro area.